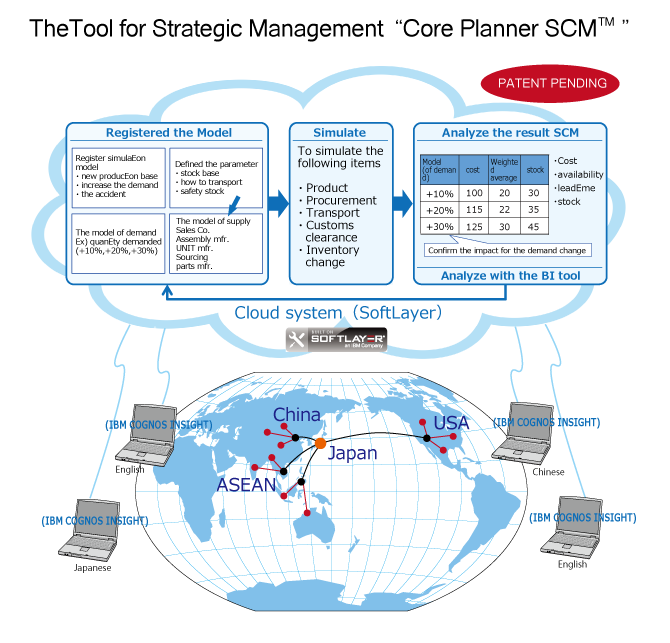 Core Solution Co., LTD. SaaSservice, Global SCM, Analysis in logistics, Simulation tool "core planner"
Core Solution started in April 2006 to help other creative vendors to create their own system. There is tons of information saved in various forms over the years. How we use that information is the key to managing your own company. We strongly suggest that you use our Core Planner SCM to open your business in a global field and to also simulate the production of each and every field. Process management practice tool "Core Planner SCM"